This Italian-style stuffed aubergine recipe is a perfect vegetarian alternative, great as either a started or part of a main meal. It only takes 10 minutes to prep and 40 minutes to cook, serving 4 people altogether. To serve more guests or more of the family, adjust the measurements accordingly. A handful of white breadcrumbs. Pre-heat the oven to 220C, 200C for fan assisted ovens or number 7 for gas ovens. Leaving the stem in tact, slice the aubergines in half length-ways and cut a border inside each vegetable about 1cm thick. Scoop out the inside of the aubergine flesh, which should leave you with three aubergine shells. Take the aubergine flesh and cut into small pieces. Brush the inside of the aubergine shells with a little oil and season before placing onto a baking dish. Cover the skins with foil and bake for 20 minutes. While the aubergine is baking, add the remaining olive oil to a frying pan and added the chopped onions. Cook until soft, then add the chopped aubergine flesh. Once cooked through, add the chopped garlic and the tomatoes. Cook for a further three minutes, then sitr in seasoning, olive oil, mozzeralla and basil. Once the aubergine shells are soft, remove from the oven and reduce oven temperature by 20C. Pile the stuffing into the shells, sprinkle with breadcrumbs and cook for 15 - 20 minutes, or until the mozzeralla is golden and the breadcrumbs are crispy. 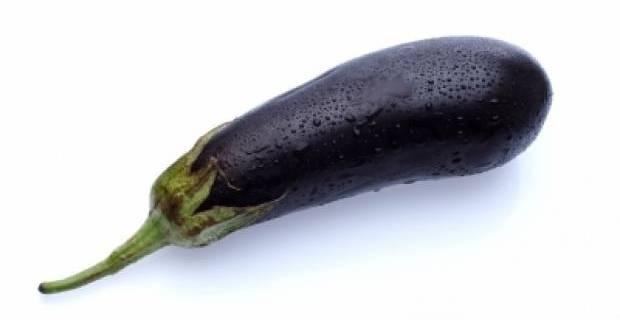 If you follow the ingrediants and measurements to the letter, the stuffed aubergine recipe should provide you with 266 kcalories, 9g of protein, 14g of carbohydrates, 20g of fat, 6g saturated fat, 5g of fibre, 7g of sugar and 1.17 of salt. You can served the stuffed aubergines with a green salad for a healthy lunch, or serve with rice for a main meal.